Physical Therapy Supplies * Fully Automatic Treatment at Home * Medicomat ear acupuncture provides a fully automatic treatment for the whole body, complemented by the effects of silver ion therapy and body acupuncture massage through the conductive hand and foot electrodes, silver fiber garments (gloves, socks, knee, elbow, pads). Unique silver fiber conductive garments exclusive for acupuncture massage therapy. 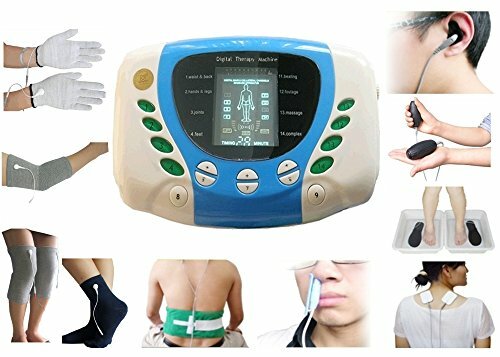 The apparatus has 6 channels for therapy. You can use them simultaneously and choose three therapies at same time for the better therapeutic effect.